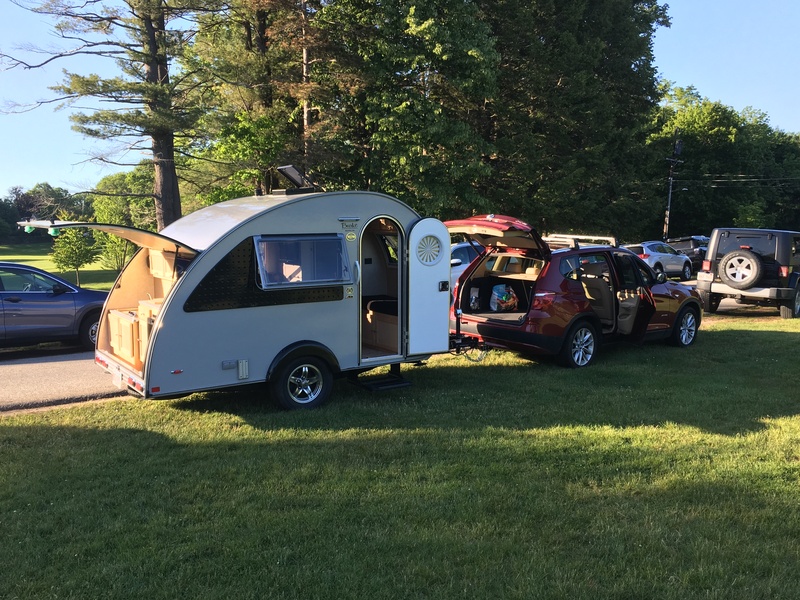 Exactly one year ago, I made a 3000-mile road trip from New England to Oregon, teardrop camper JT in tow (aka James Trailer), wondering how on earth I would cultivate new roots as I retired and transplanted myself into this unfamiliar new territory. 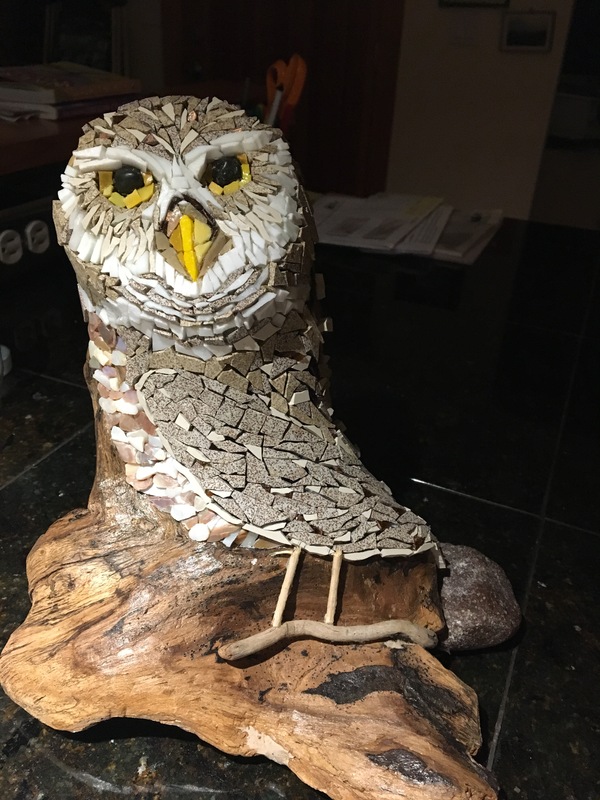 My daughter-in-law wisely suggested I take the online Oregon Master Naturalist (OMN) course offered by OSU. It seemed a good place to start building a sense of place and community and meet kindred outdoor spirits. The course is packed with Oregon lore—geological and ecological histories, mind-blowing stories of accreted exotic terranes and eons of volcanic roiling, eight vastly different eco-regions from rain-forested coastal range to arid mountainous desert, and a flood of information about species of concern beyond my brain’s absorption capacity. Cougars and beavers and birds, oh my! The final step in completing the OMN requirements is to perform 40 hours of service for any of the hundreds of Oregon organizations with outdoor missions. This can include performing office tasks for conservation organizations, doing citizen science by counting animal sightings and tracks, transporting migrating fish around river barriers, removing migratory barrier fences or installing wildlife-friendly fences on rangeland, yanking out invasive weeds, or planting native trees and shrubs on a degraded section of a stream. I couldn’t sleep for several nights before setting out on this circuit, fretting about how to handle a cougar attack or a flat tire on back country roads. [Cougar image credit] So I opted to start my volunteering week at a Friday film festival in civilized downtown Bend, where I could call Triple-A, and the only likely cougar sightings might be divorcees flirting with snowboarders. Where to park (and sleep in) JT in town near the theater? True to the laid-back Bend vibe, a friend from my OMN field course invited me to park in her driveway for the 2 nights in Bend. I plugged into her garage outlet, and had my own 2-star movable guest room. About ten of us volunteered at the Wild and Scenic Film Festival sponsored by Oregon Natural Desert Association (ONDA). We took membership applications and donations, and peddled raffle tickets. Caelin, our ONDA staffer, also treated us to excellent pizza and a drink on the house. ONDA’s mission is “to protect, defend and restore Oregon’s high desert.” ONDA envisions “millions of acres of beautiful and ecologically vital public lands permanently protected, home to diverse populations of wildlife, and available for future generations to enjoy…. [providing] the public with outstanding opportunities to experience backcountry solitude.” How awesome is that? The evening event presented 10 short films about a wide array of wild and scenic adventurers, including: a river explorer, two self-described badass Nepalese women climbing in the Himalayas, two cartographers mapping unexplored Patagonia (Arg.) Park, a raptor migration corridor, and a compelling wacky 4-minute (unofficial) History of the National Parks. [Go on, click the link— I guarantee you will want to watch it more than once.] The theater filled its 350 seats for two showings. The thing that struck me most about this crowd of folks was their warmth. I’m accustomed membership tables where people scurry by, avoiding eye contact, afraid of being hit up for money. But these folks came up and chatted, opened their wallets, and asked about ONDA’s work. One woman opted to pay the full membership amount rather than the event-discounted rate. That’s who ONDA draws. Lovers of the outdoors, adventurers, conservationists, environmental activists—all generous with their time, money, and desire to share stewardship responsibility of wondrous spaceship earth. An enjoyable, cougar-free night! ONDA and its staff get two thumbs up for this event! When you go, allow 2 to 3 hours for meandering on all 5 short loops in the Painted Hills, and taking lots of pictures. At three of the loops through the rainbow colored hills, I crossed paths with Park Ranger Michelle, who I learned was the same person with whom I had been emailing to arrange the week’s volunteer work. She recognized me by my trailer; apparently there are not many teardrop campers wandering around JODA in mid October. We made a plan to meet at the Thomas Condon Paleontology Center, aka, JODA Visitor Center, the next morning when my volunteer work would begin. Michelle oriented me to the visitor center and the fossil bed basics—and turned me loose to wander the museum to get the gestalt. Who knew that from 50 to 5 million years ago a panoply of now-extinct mammals—evolutionary predecessors of felines, canids, cameloids, and horses—roamed the volcanic cauldron of what is now central Oregon? Or that the fossils they left behind, buried in the layers of a multitude of volcanic eruptions of ash, lava, and whatever else volcanoes spew, provide such a complete evolutionary record that they are used as reference points by paleontologists world-wide studying the Tertiary, or the age of mammals? OK, the question is rhetorical. I’m sure lots of people knew. But until a week ago, I was not one of them. Still, I can’t get my head around the concept of “50 to 5 million years ago” or baffling words like “Tertiary.” But this is a place where paleontological science laboratory meets museum meets family friendly indoor-outdoor learning playground. I witnessed the “swearing in” of two eager Aussie 10-11 year old siblings as they worked the children’s activities to earn Junior Ranger status. Their wonderment helped put a new sense of awe in my steps through this extraordinary terrain. As for my volunteer work at JODA, “work” is the wrong word. The next 4 days felt more like recreation than work. Michelle’s job includes running educational programs at the visitor center, for which she often uses fossil replicas made to look like the real ones, to give school groups hands-on experiences with them. To create the realistic look, she spends her spare time during slower winter months painting the replicas. She set me up with a table and latex paints and brushes, showed me some real fossils (in background of photo) to use for models, and let me channel my inner Georgia O’Keefe on the replicas. I was happier than a clam at high tide! Second photo shows some of my final products. The other job I helped with was reviewing a ’90s era hands-on fossil curriculum that JODA sends out to schools for use in earth science and biology classes learning about evolution and how paleontologists piece clues together. The kit contains 16 fossil casts of various ages of horse heads and teeth through their evolution during the 45m years of the age of mammals. Michelle and I discussed how the curriculum could be updated to reflect the Next Generation Science Standards in wide use nationwide today. We planted the seed of an idea for a summer teachers’ workshop to redesign the lessons in light of today’s classroom needs. Pure fun, bringing my 40+ years of teaching experience to this volunteer assignment. There is so much more to write about this place—but it’s better to go see for yourself! 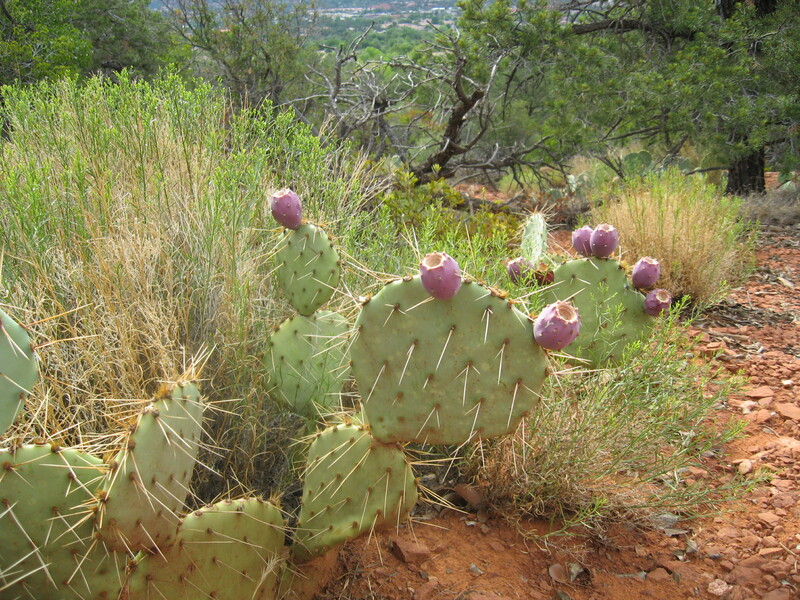 Another MUST DO when you go is to walk the 1-mile Blue Basin trail near the visitor center. Absolutely eye-popping! (Yes, the hills really are aqua-colored.) And you can’t miss Picture Gorge as you drive through the valley—it’s equally jaw dropping. Folks don’t usually want others to see the skeletons in their closets, but at JODA, they are the main event! South Crooked River valley in the Ochoco Mts. My week-long volunteer circuit around the Ochoco Mountains included a two-day work camp sponsored by the Oregon Natural Desert Association, or ONDA. Circling the Ochocos clockwise, I stopped often to marvel at the incongruity of a “desert river” and found the gravel turnoff at a milepost somewhere between East-and-West-of-the-Hinterlands. The last 4.5 miles brought a 30-minute crawl over hills, gullies, and rangeland between rocky buttes. Two range-roaming cows were unimpressed with my rig. Just when I was certain I was lost, I spotted the tents and cars of my fellow volunteers, and maneuvered JT into the encampment. Seventeen of us met on a Thursday evening at this crackling dry, juniper-studded field along the South Fork Crooked River. After dinner, we had a fireless (due to a statewide burn ban) “fireside chat” about the next two days’ work, then hustled under a billion stars to warm sleeping bags as the temperature plummeted. Jefferson Jacobs, the ONDA staffer who led this trip, is well known among ONDA volunteers for fireside discussions, where he shares his considerable knowledge of the high desert region, its history, peoples, and ecosystems. His story-telling reputation is what prompted me to sign up for this trip, and the stories were as delightful as predicted. By 6:00 a.m. the next morning, Jefferson had brewed us the most delicious coffee I ever tasted. I suspect he has learned that this is the best—if not the only—way to entice people out of warm sleeping bags on a 15˚F morning. I also suspect that the temperature had something to do with how good the coffee tasted. At eight o’clock we gathered with shovels, work gloves, bag lunches and water bottles, and hiked through the frosty fields about a quarter mile to the day’s worksite in a grassy meadow by the river. 2. On another trip they built two beaver-dam-analogs a half mile apart (or BDAs, as seen at left), These obstructions across the river made of logs with intertwined willow twigs slow water flow and raise the adjacent floodplain water table, in this case, by two feet. The BDA will give this patchwork of creekside plantings a fighting chance of surviving the hot Oregon desert summers. On this assignment, work meant work! Jefferson had lined up some 2,300 native saplings and shrubs for this crew to get in the ground: cottonwood, aspen, willow, alder, red-twig dogwood, elderberry, spirea, currant, and meadow wildflowers. We planted half at each of the two BDA locations. The second day a group of 20 or 30-something young recruits turbo-boosted the effort by lowering the average age of our group significantly. We called them the Riders of Rohan, from the epic scene in the Two Towers movie (Tolkien’s Ring Trilogy)—a team-building mythology instigated by Jefferson. In one of our fireless chats, we learned why we were working in this particular place. This 3-mile stretch of the South Fork Crooked River is on a 1200-acre parcel owned by Otto Keller, who is keen on land conservation and restoration. He collaborates with ONDA and other partners to restore the South Fork Crooked River to some of its former ecological diversity. Together they have successfully removed several acres of juniper and repaired fences to prevent cattle trespass (a significant issue, especially when one tries to find ungrazed land to study the effects of grazing on ecosystems). The partnership is now knee-deep in riparian restoration—with hopes of bringing back a habitat that can support native denizens such as trout and beaver. Oregon once teemed with beaver, but trappers nearly eliminated them from their natural range throughout central Oregon. In 20 years, when these plantings have grown, it is hoped that they will provide the elements beavers need to build dams and trout need for shelter and spawning. Jefferson was confident that this ragtag band of conservationists, ranging in age from 25 to 80 could get 2300 plants tucked into the ground in two 8-hour days. This was hard work, yet many of these folks keep coming back year after year to plant more sections of this meandering creek’s banks, and to check up on last year’s babies. Camaraderie buoyed this crew of shovel-wielding hole-diggers (2300 holes is a lot of digging) and trowel-bearing plant setters, and by dam—we did it! Two very muddy thumbs up! In a short video, the person behind the camera posed this question to a series of random people: “What is a phytopathologist?” Stupefied stares accompanied answers ranging from, “No clue!” to “Is it about dogs?” (Think Fido-pathologist.) The audience laughed uproariously—probably because it was a gathering of the American Phytopathological Society–some 1,500 of whose members attended their annual meeting last summer in the Rhode Isla nd Convention Center. Phytopathologists are specialists in plant diseases–doctors for plants, which, like people, can get sick and need medical attention. 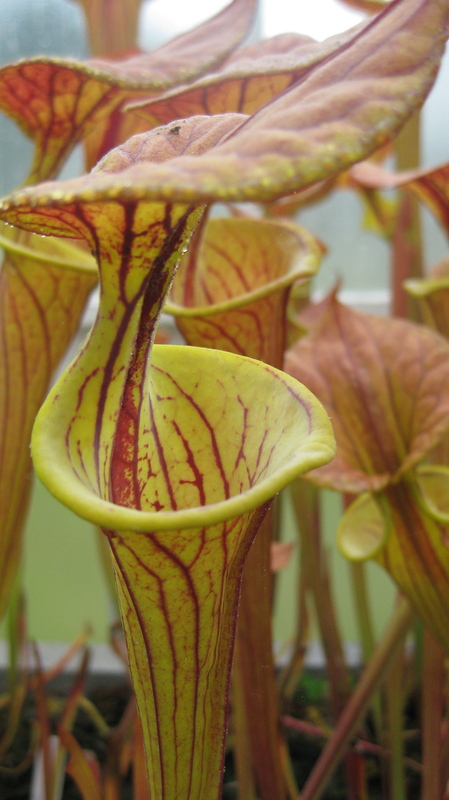 Why care about sick plants? Imagine one week in your life without them. No veggies, potatoes, or pasta; no meat or fish, since the drumstick on your plate owes its existence to plants, as well. Forget clothing, since fibers (even synthetics) originated as plants. In a plantless world, you would pretty much be living on water, wearing your birthday suit, and sleeping under the stars. Patrick graduated from Purdue University in 2014 with a degree in Civil Engineering. While studying there, he participated in a team collaboration to develop a locally sourced, locally fabricated micro-hydropower facility in the rural community of Bangang, Cameroon, where he gained his early lessons in micro-hydropower (MH) as a sustainable energy solutio n for rural communities. He carried these lessons on to his work with Green Empowerment, first as an intern for our partner organization Tonibung in Malaysian Borneo, and more recently as a GE Fellow in Myanmar, where he has spent a year exploring the possibilities for GE collaboration in developing MH facilities for rural villages with no other access to electricity. The opinions he offers are his own, and not necessarily those of Green Empowerment or of the other networks mentioned in this article. How did you decide to focus your work on Micro Hydro solutions to rural development? I’ve always been intrigued by small hydropower production—especially with all the new technologies coming out. I love to geek out on solving the engineering problems—and nothing can match the cost per kilowatt of Micro Hydro, if it’s done right. Together with local developers we wrote a proposal to the biggest players—in the government and various bilateral development partners, for a Development Plan for Micro and Mini Hydropower Implementation of the NEP of Myanmar, using a Public-Private Partnership Approach. It lays a plan for the best chance for the MH sector to become sustainable. She taught me the important nuances of this proposal coming from local developers, not outside agents or NGOs. So the Small Hydro Power Association of Myanmar (SHPAM), a local practitioner’s association, authored the proposal, and we kept largely to the background. There are many—somewhere around 1,000—MH mini-grids built by private sector actors in Myanmar over the past 30 years, at a time when the former government was not paying much attention to rural electrification. 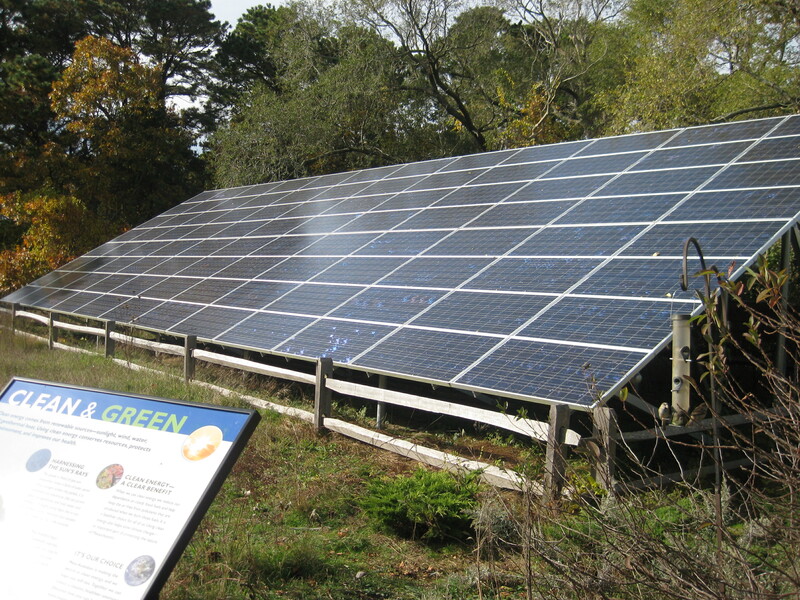 These community-owned mini-grids are facing an uphill battle, because solar home systems can be implemented more quickly and on a larger scale than technologies like MH or biomass gasification, and the anticipated encroachment by the national grid is a disincentive for many MH mini-grid developers to pursue high quality sites, except in the most remote regions of the country. It isn’t clear what the new democratically elected government, led by the National League for Democracy (NLD), will do next. We hope to support our local partners, primarily the Renewable Energy Association Myanmar, make the case for MH mini-grids, and decentralized renewable energy solutions in general, as part of the new government’s energy planning process. 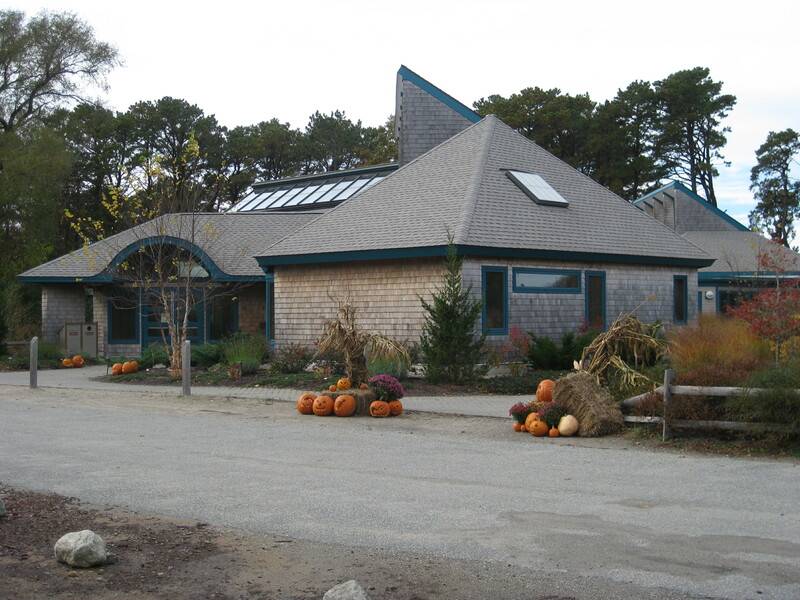 The Wellfleet Audubon Center, a LEED Platinum Certified building, was a partial-new (2003) construction, partial-renovation of the original 1990 building and grounds. 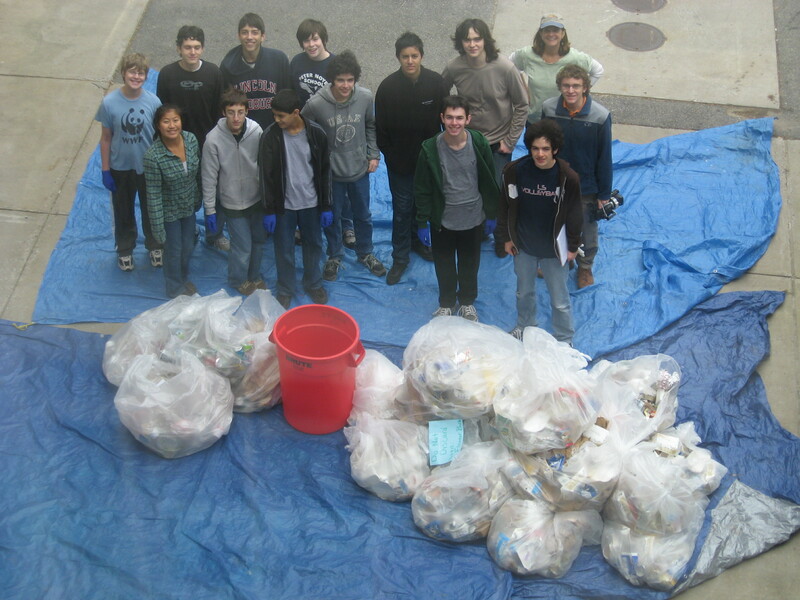 Excavation for the addition was minimized; demolition and recycling of waste followed highest LEED guidelines. Renovation increased building from 3000 sf to 8000 sf. To offset the added area, Audubon bought 5 acres of land to maintain as greenspace. Access road is of crushed stone, and walkways of permeable pavers. 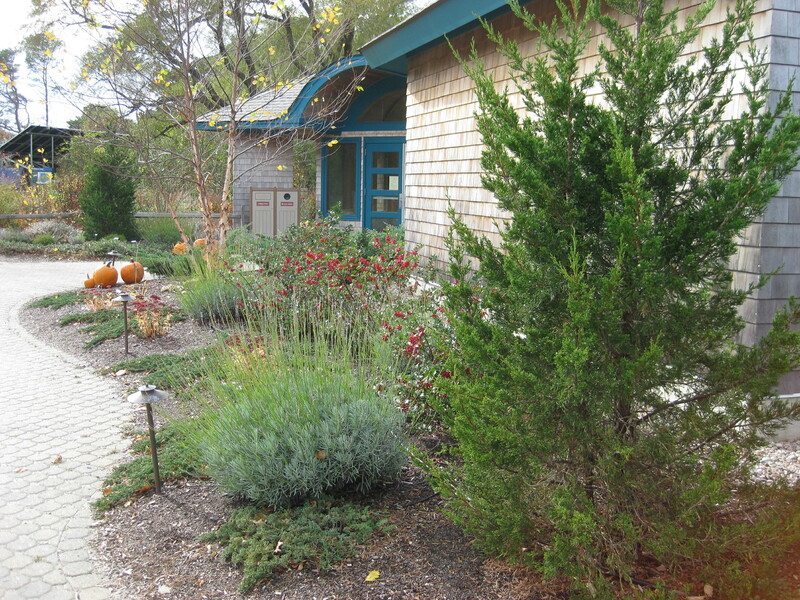 Local architect Andrew Miao designed this as his first green building, and landscape designer was Chris Oriuchi. Materials in the renovation/new construction are of high recycled content: engineered wood-scrap beams and joists, shredded newspaper blown insulation and acoustic ceiling covering, recycled tire rubber flooring, pine floorboards salvaged from demolition in NJ, recycled plastics carpet and bathroom partitions, imitation slate from concrete & fly-ash, composite decking outdoors, and countertops of newspaper/resin composite. 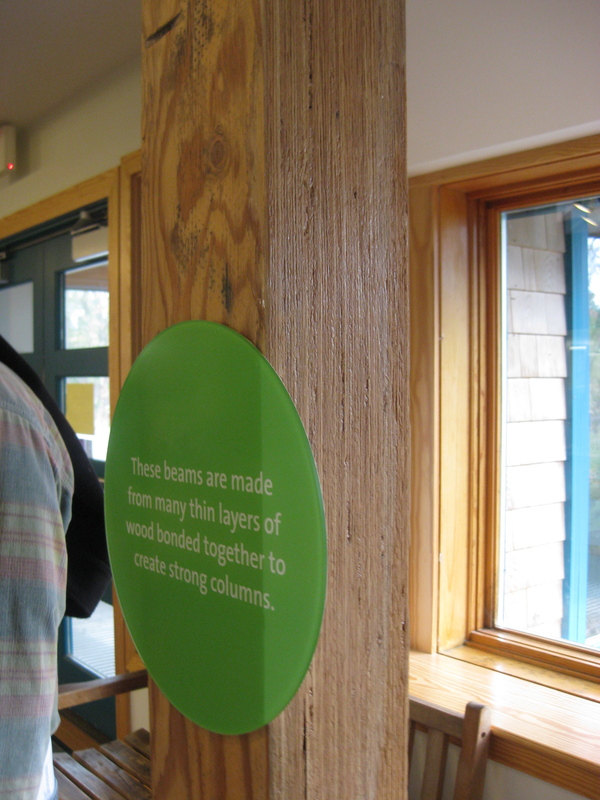 The exhibit provides hands-on samples for visitors to examine. 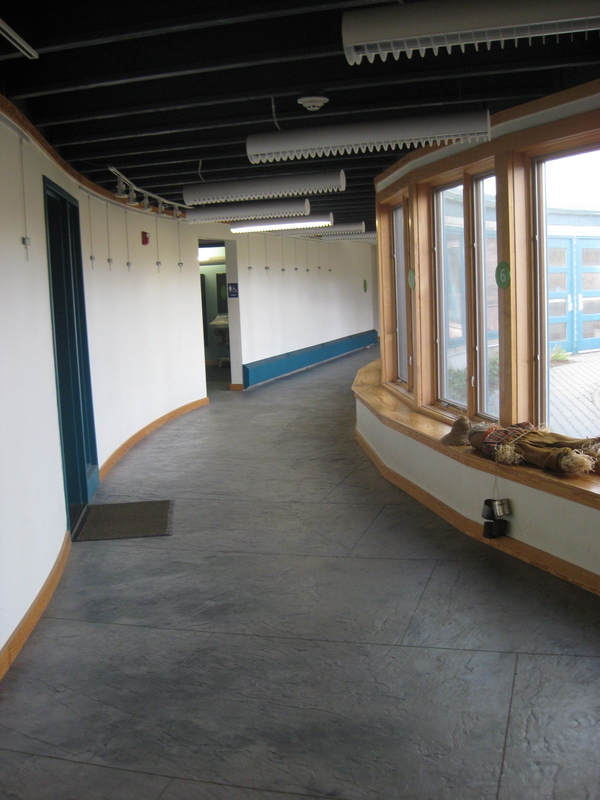 Some new materials were used: “plyboo” and wheatboard office walls, Azek (vinyl) window trim, argon-filled double pane windows, and sustainable forest certified wood trim. 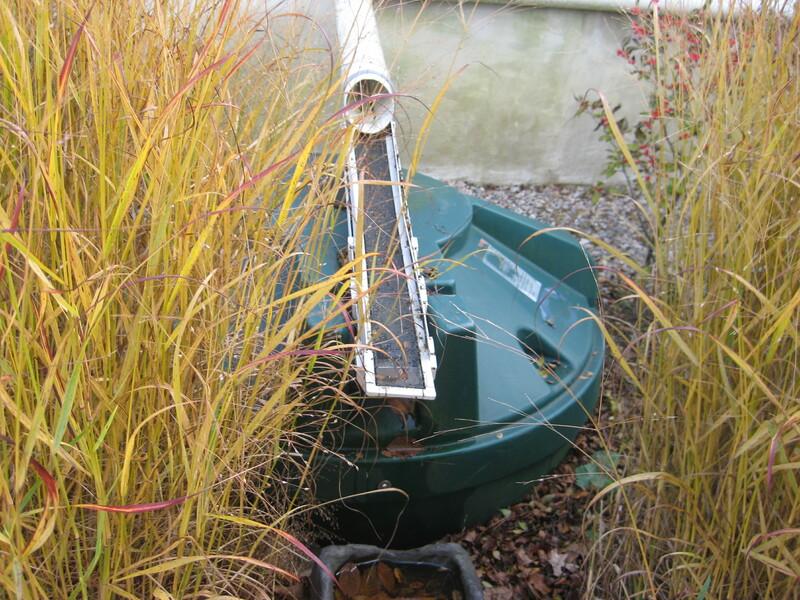 A rainwater collection system irrigates the bog garden, using 4 partially subterranean 400-gallon cisterns that supply a latticework of perforated pipes under the bog and alongside plantings. A well provides drinking and cooking water. A wood furnace heats the entire building, using local Black Locust, which burns quite completely at high temperature and puts out clean exhaust with very little carbon content. Backup biodiesel fuel has never been needed. Natural ventilation provided by ceiling fans, operable ceiling windows, and heat-exchangers obviates the need for air conditioning, thus ground-source water cooling was deemed unnecessary. Photovoltaic panels, a 3KW array on roof of new building and an 18KW array next to the bog garden, provide 30-40% of the building’s power. Consumption is minimized by use of occupant-sensors, T-5 bulbs, skylights, and natural ventilation. A planned wind turbine on the property will eventually take the building to net-zero energy consumption. 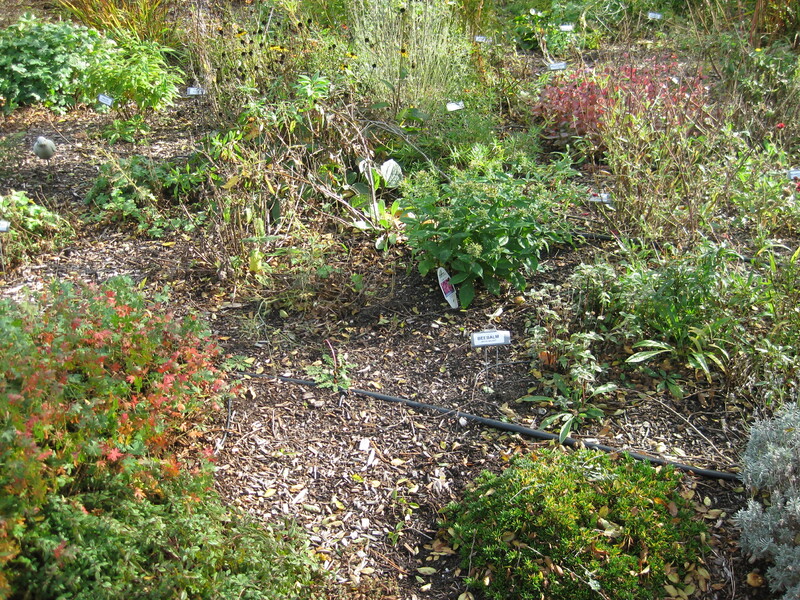 Outdoor new plantings are of native species; the hummingbird and insect garden contains a few non-natives, transplanted from the previous site. 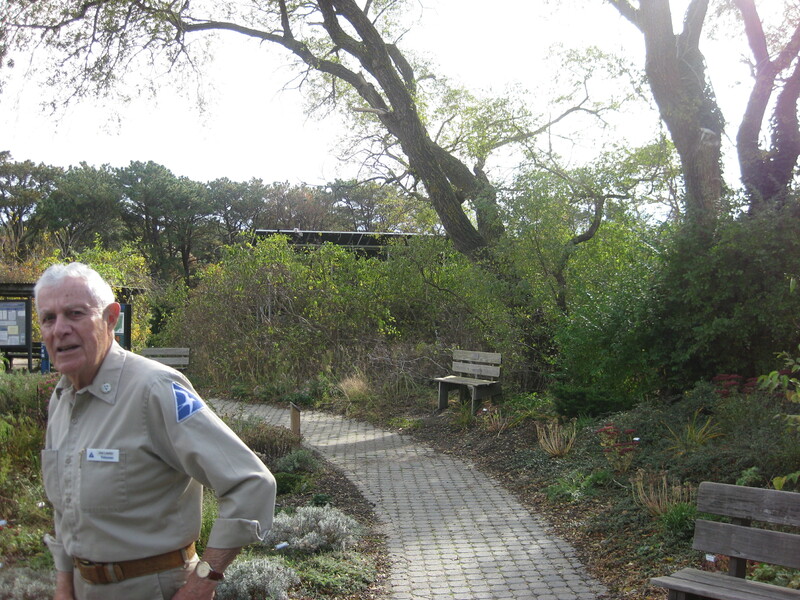 Joe Lawler, who gives a great tour of the facility, is particularly fond of the “All Persons Trail” of crushed schist, accessible to wheelchairs and persons using walking aids, which gently slopes to marsh and bay views. 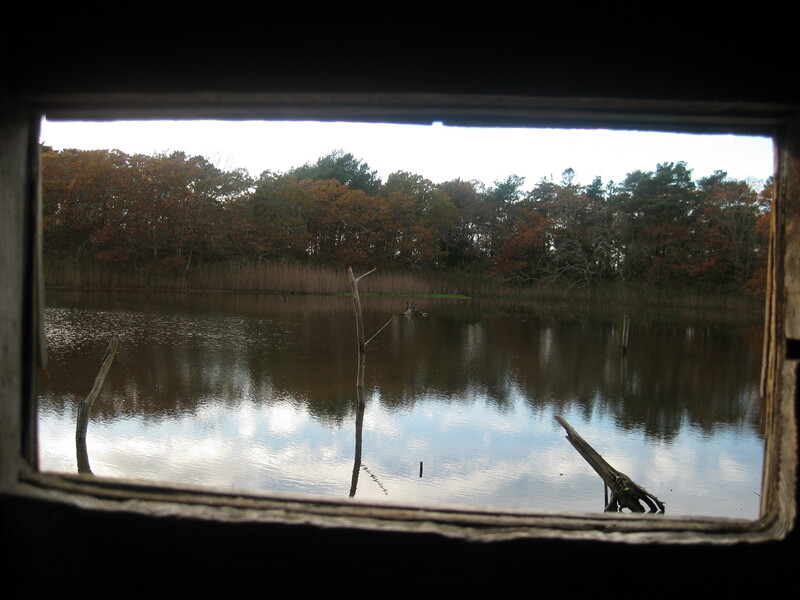 From a blind on the trail, walkers may see a Kingfisher diving in the marsh for its dinner. 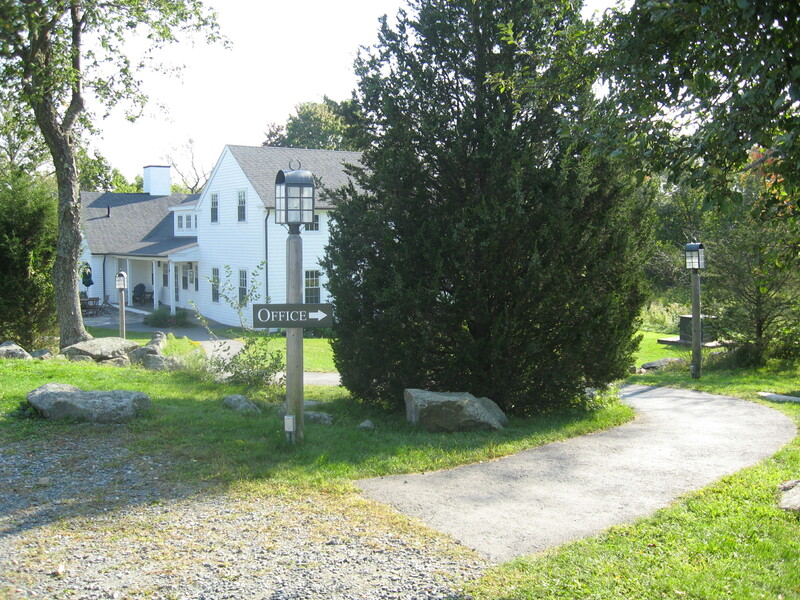 The Essex County Greenbelt Association (ECGA) is headquartered in a 220-year-old farmhouse situated in a marshy meadow on the tidal banks of the Essex River. The building was expanded and renovated in 2006-07, to improve its usefulness to the owners and to make it as “green” as possible within the given budget, and in visual harmony with the style and period of the original building. Nine full-time employees use the building daily; as many as 30 people gather periodically in the meeting spaces. A builder/designer coordinated the integrated planning for the renovation. He is conducting the documentation process for LEED certification, which may turn out to be Silver level. Because the mission of the ECGA is to preserve green spaces, the team maintained a clear focus during design and construction decisions. 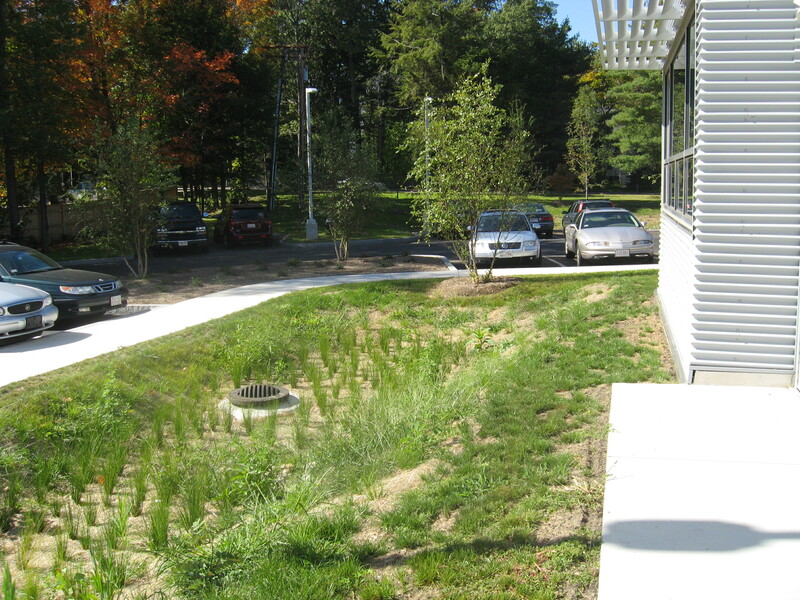 Through strategic use of grants and donations, the designer/owner/occupant team was able to “go greener” than they originally thought they would. 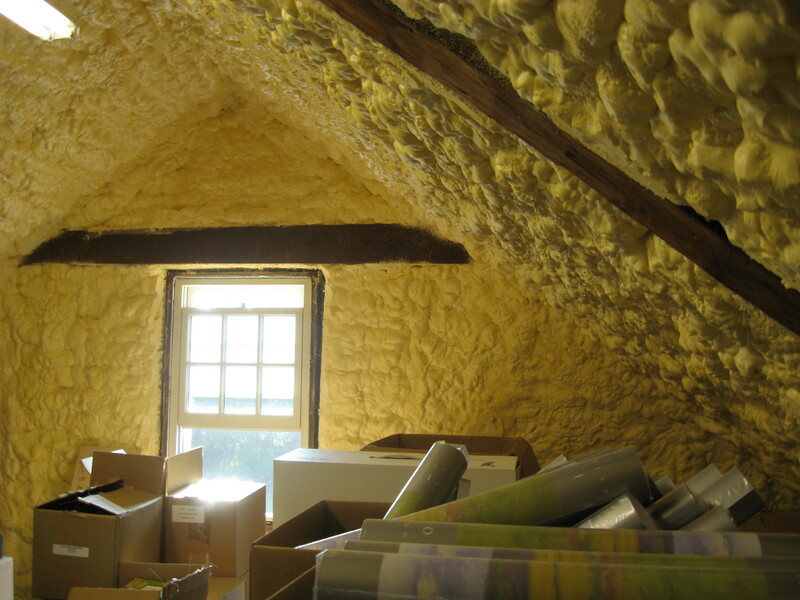 The building envelope was insulated with Icynene foam (water based, low VOC, 100x expansion to fill all cavities, R=up to 29) on exterior walls and attic ceiling. Double-pane operable windows replaced the originals, allowing fresh air 3 seasons/year and rendering the air conditioner rarely needed. A gas furnace (97% efficient) and forced hot air system replaced the old oil/radiator one. 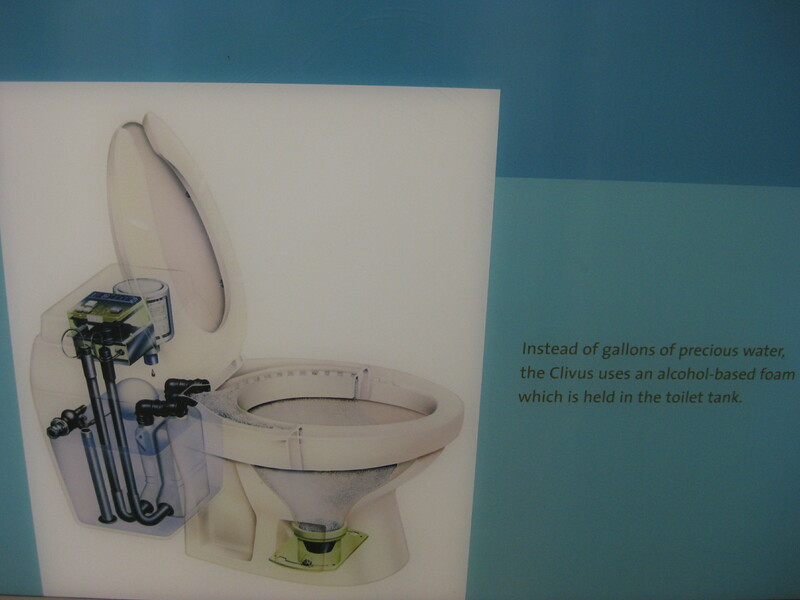 A 1000-gallon cistern recaptures and stores rainwater for gray water uses such as flushing and outdoor spigots. In dry spells or deep freezes, town-water is the backup system. Black roof shingles donated locally were a trade-off in the construction-cost v. green-goals of the project. Construction waste was reused onsite or recycled. 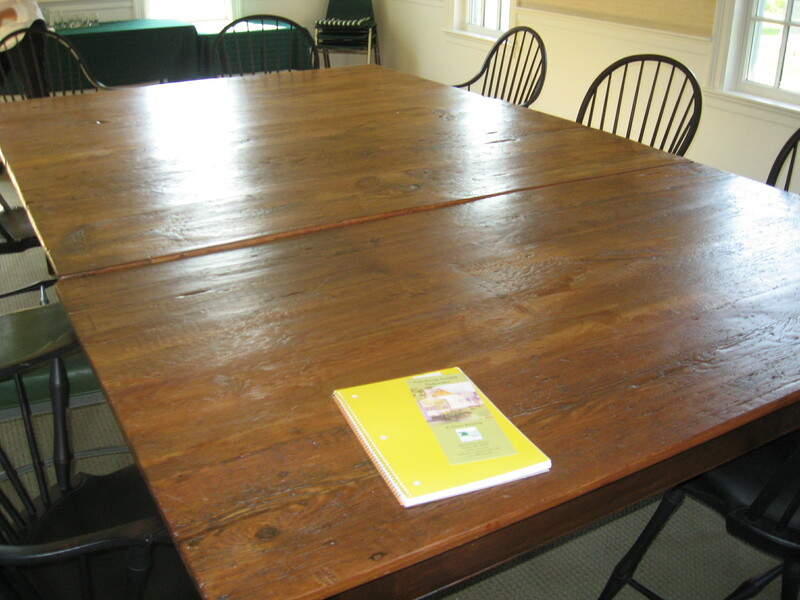 The old floorboards, for example, formed the desktops for all the offices and meeting room tables. New materials such as rugs and wall coverings were selected for recycled content and no/low VOC off-gassing. New floorboards and slate entry tiles came locally, from Vermont. 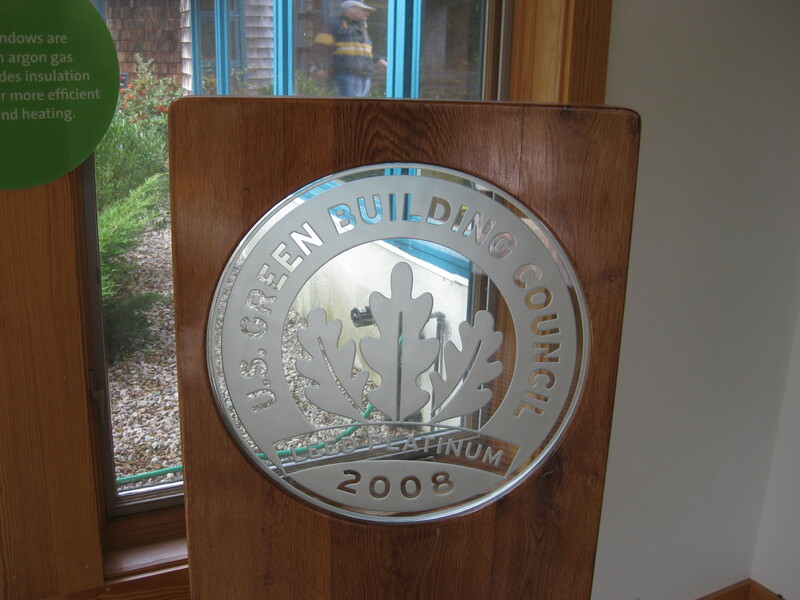 A few decidedly 21st-century features were added for green-modeling purposes. A small (1.5kw) photovoltaic unit of 10 panels provides about 10% of the power used in the building. 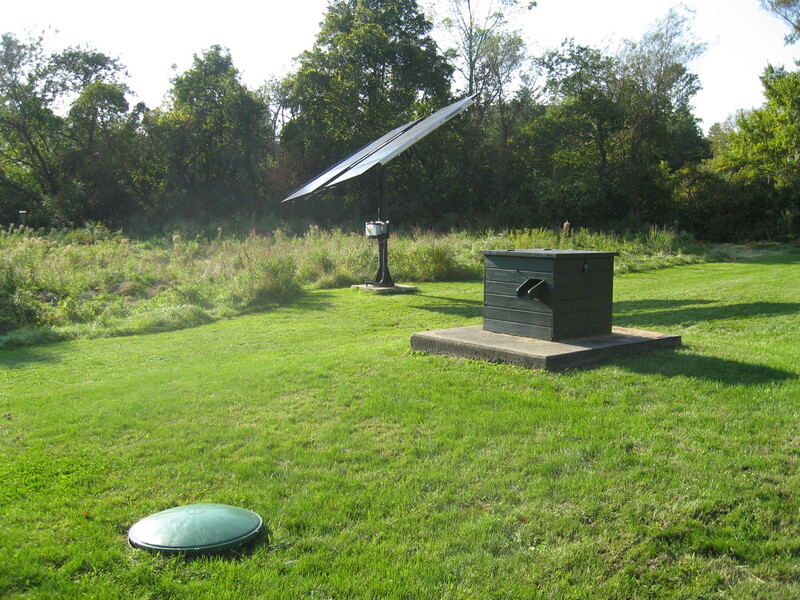 Because the roof was not oriented for solar exposure, the unit is free-standing and rotates to follow the sun at 15˚/hr. A computer program monitors the PV energy use (tracked daily by a contracted German company); at peak use in summer it provides 17% of the building’s energy load, and in winter on a cloudy day, only about 2%. 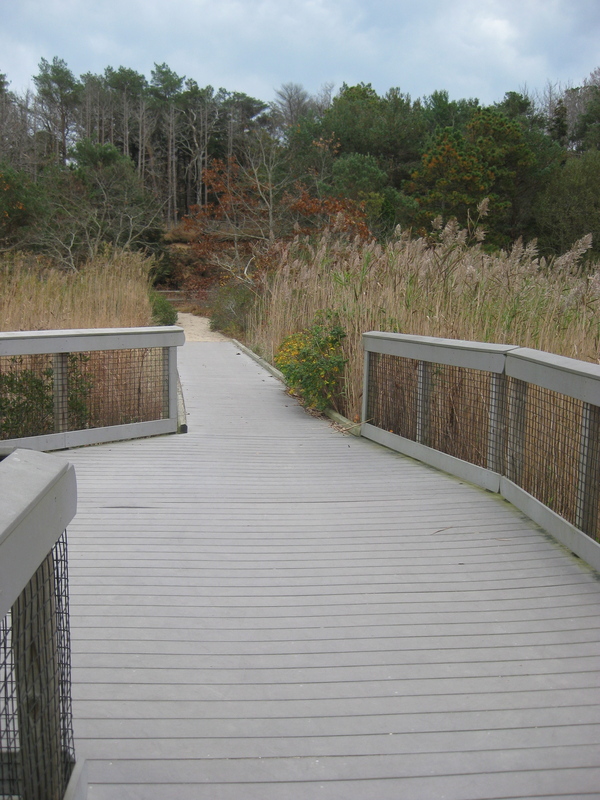 The Essex County Greenbelt Association Headquarters walks its talk and models its mission. What a wonderful place to work, volunteer, or ramble through the meadows! 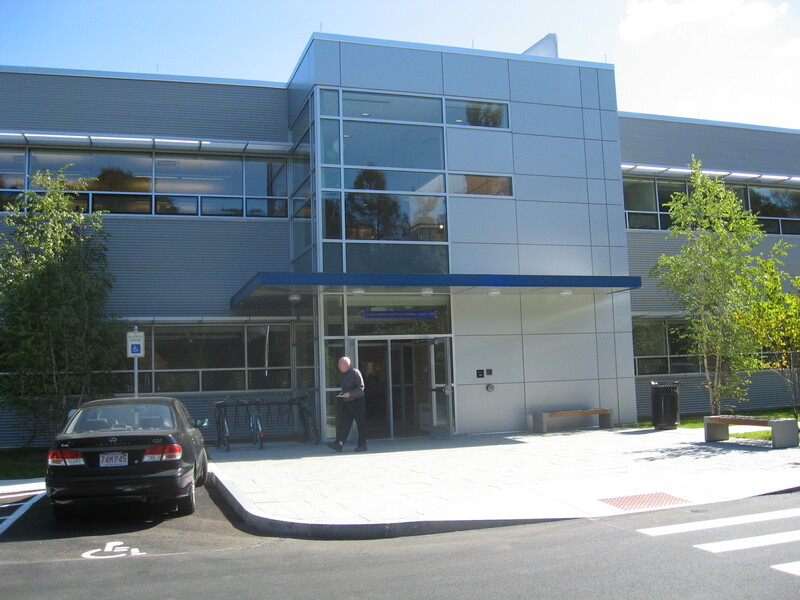 The town of Lexington, MA, opened a new LEED Silver building complex, 80,000sf for Public Works and Facilities on the 9.6 acre site of the old DPW. An Open House on Sept. 26, 2009, celebrated the new green building and invited the public for tours and information from the architect and building occupants/ operators. Winter solar gain is achieved in southern facing design. During construction, the site was decontaminated from the remnants of the 1900-1920 B&M RR Trolley Barn ($250K), including proper disposal of oil-contaminated soils, and 85% reuse or recycling of materials in the old buildings. Construction debris was also separated and recycled; new materials included 40% recycled content whenever possible, and were delivered from within a 500-mile radius. Rainwater is collected, stored, reused (for washing town vehicles), and/or bio-filtered for aquifer recharge. 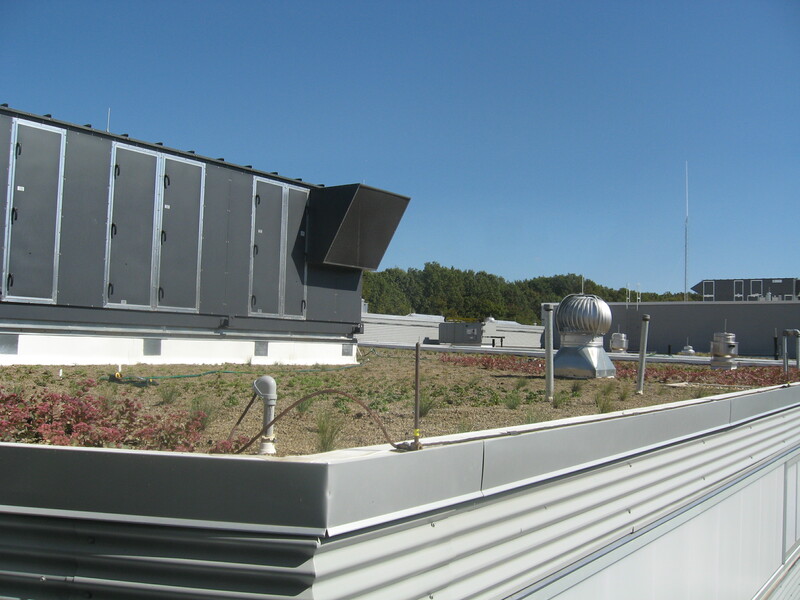 The roof of the building channels the rainwater either into the 10 x 500-gallon storage tanks (with tank hookup for street sweepers), or onto the 10,000sf section of green roof, or into one of four bio-swales on the site, which filter and drain in 24 hours into the local aquifer. The three systems are designed to handle a “100-year storm.” Parking spaces (though not truck through-ways) are of semi-permeable asphalt. Most spaces have natural light from clerestory windows, skylights, and/or light-wells, and need no artificial lighting in daytime. Indoor rooms have occupancy sensors for lights on/off control, and use T5 CFLs. Ventilation air exchange is on demand (by CO2 sensors), and an enthalpy wheel recaptures heated or cooled/dehumidified air for reuse of the dry air and heat. Garage doors are minimized, with none facing north; ceiling fans pull summer night cooler air through louvers on north walls, maintaining day temp of 70˚ on a 90˚ outdoor day. Radiant heat in garage ceiling beams warms objects (not air), with temp maintained at 45˚ in winter. Concrete slab floor serves as thermal cool/heat mass. 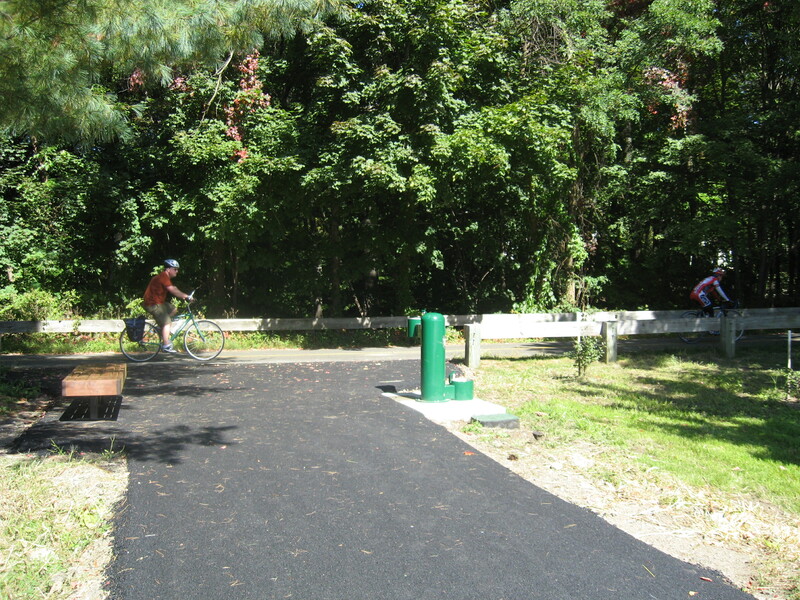 The Minuteman Bike trail is adjacent to the DPW facility; a connecting link to DPW site encourages biking to work, and a bench/water fountain at the link invite passing riders to enjoy the use of the facility. The building has a bike rack and shower/changing rooms for staff who bike or walk to work or who exercise during lunch break or end of shift. This is not your grandfather’s DPW facility!